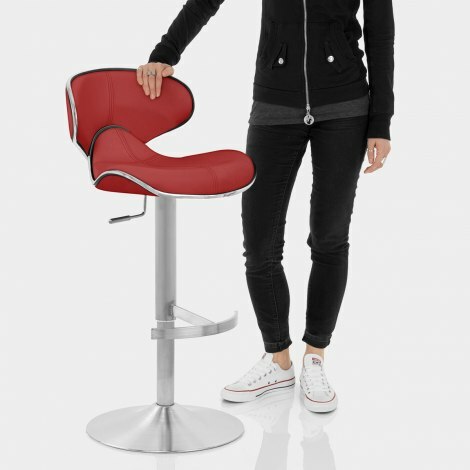 Go bold with the Deluxe Duo Leather Brushed Stool Red. This arresting model is guaranteed to attract the attention of every person in the room. Beautifully bringing a touch of luxury to the bar area, the Deluxe Duo is a brilliant piece of furniture. The red real leather seat is just gorgeous. 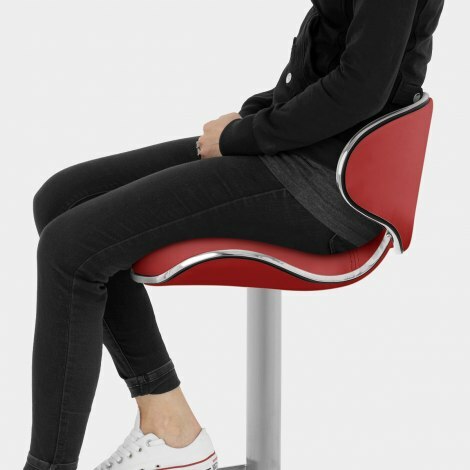 Effortlessly summarising the appeal of leather upholstery, it comprises an ergonomic backrest and breathtaking edging. Meanwhile, the brushed steel frame oozes plenty of visual smoothness. This handy item is further enhanced by the presence of a gas lift mechanism. 360 swivel works alongside this, producing a terrifically efficient item. A rubber ring seals the Deluxe Duo's appeal by encircling the base with the express intention of preserving floors. "Plenty of padding to seat, excellent quality leather"
Found online and ordered on the Thursday arrived on the Friday - packed really well and so easy to put together with straightforward instructions. Lovely quality leather seat and stylish base. Absolutely delighted and excellent value for money. A real statement maker in our sage green and wood kitchen used for our kitchen island. Very comfortable seats which are quite generous, thank you. Great product, excellent quality.. Plenty of padding to seat, excellent quality leather. Staff customer service on phone were extremely helpful.... Would use and highly recommend yourselves again. Ordered and delivered in double quick time even though we are in Ireland. We have purchased stools from Atlantic several times in the past and have never been disappointed. This time they have excelled, we are absolutely delighted with these stools. They look and feel fantastic to sit on. So easy to assemble. What a great shopping experience! 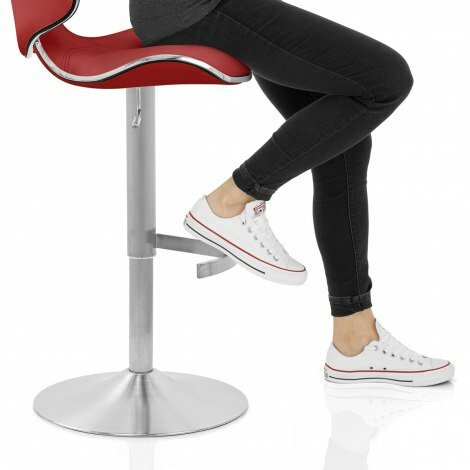 Ordered at 3.30pm yesterday and my bar stools arrived at 11am today. Took me less than 10mins to unpack and assemble both stools. They look great, they're comfy and stable. These items were ordered and dispatched immediately. A rubber missing form the bottom of the chair, was dispatched and arrived the following day.